Since super hero movies are Hollywood’s biggest cash cow, you’d be lying if you said you didn’t picture yourself in the shoes of your favourite Marvel heroes or villains. Thankfully, you can with the deep library of super hero games! 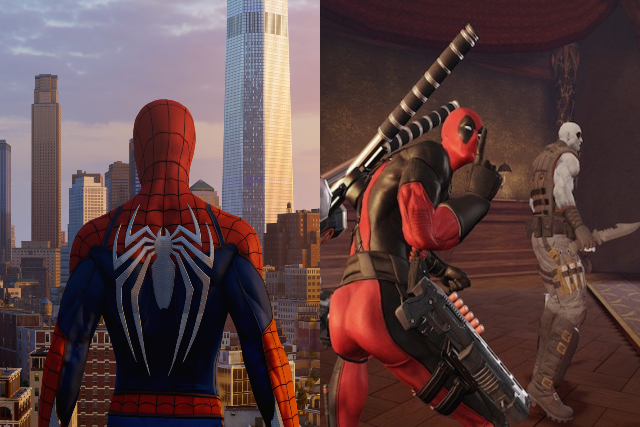 From the wall crawling antics of Spiderman to defeating opponents in Marvel Vs Capcom Infinite, these are our favourite titles that make players feel like all-powerful characters and help scratch that super hero game itch! Marvel’s Spider-Man is a love letter to fans with multiple nods to its Marvel roots. Featuring recurring characters like Mary Jane, Aunt May, Electro and Vulture, this is the Spiderman universe you know and love. Swinging around and fighting crime in New York City is like witnessing poetry in motion as Spiderman’s movements and likeness have been perfectly replicated to a tee. Interestingly, the storyline in this super hero game is considered Marvel canon so don’t miss this game if you’re trying to keep up with the Marvel universe! Fan of the Deadpool movies and its profane humour? 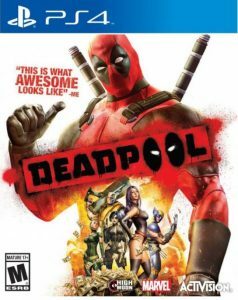 Play as the Merc With A Mouth in his very own game! 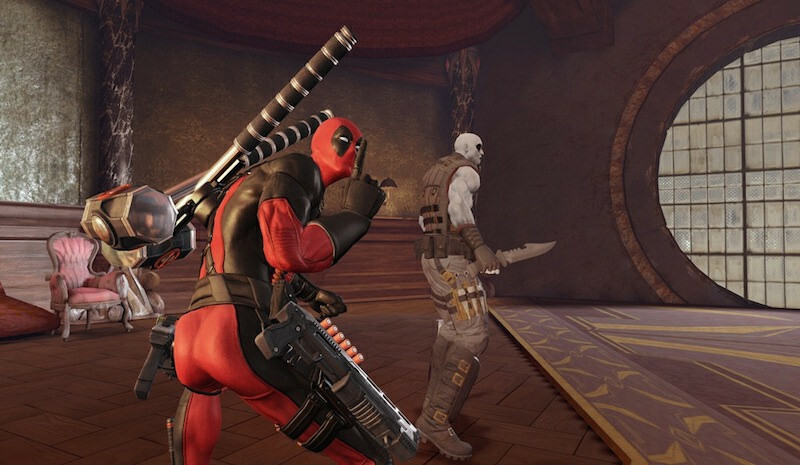 Being a hack-and-slash super hero game, Deadpool equips you with all kinds of weapons and gadgets to kill your foes. You can expect combat to get hectic as you teleport and stab enemies while chuckling at witty jokes that continually break the fourth wall. Bonus points for the voice acting and script as Deadpool keeps the action flowing with pop culture jabs and self-aware parodies! 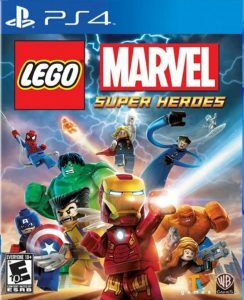 While Lego Marvel Super Heroes might seem aimed at younger audiences, its robust roster of Marvel characters (Human Torch, Thor, Loki, Dr. Doom,etc.) is something all Marvel fans can enjoy. 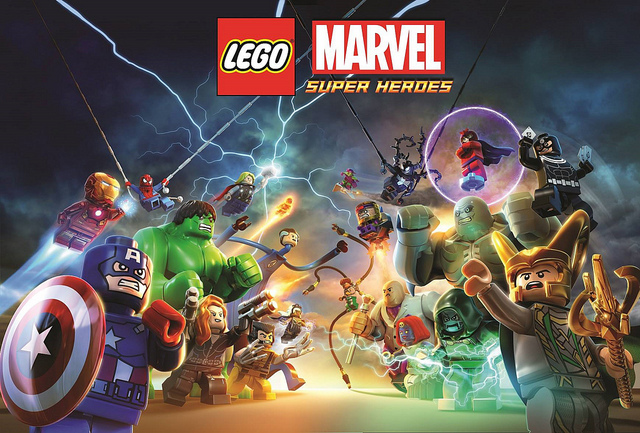 See all of your favourite characters in Lego form as everything in the Marvel universe has been lovingly recreated with Lego to present an engrossing story that allows all heroes and villains to cross paths! Visit familiar locations like the X-Men Academy, Asgard and Oscorp while scouring the Lego world of Manhattan for hidden collectibles. 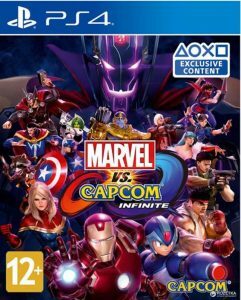 Marvel Vs Capcom Infinite is the newest entry in the legendary crossover fighting series. Pit Capcom veterans like Ryu and Strider Hiryu against Marvel heroes like Spiderman and Iron Man in this brawl of epic proportions! 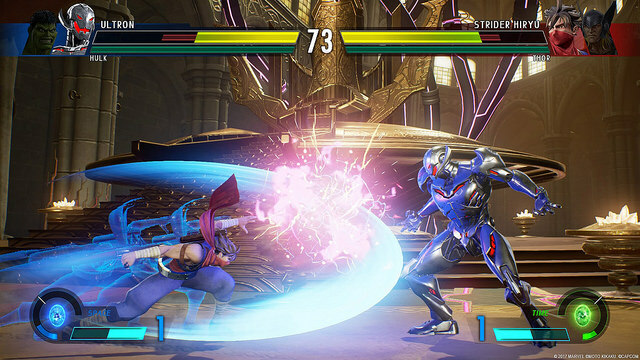 While many might pan MVCI for its exclusion of X-Men characters and lacklustre roster, there’s still the likes of fighters like Thanos, Gamora, Zero and Chun Li! Along with the lag-free online play and fun fighting mechanics and you have an underappreciated super hero game that can provide hours of entertainment. Ever wanted to see a good Batman V Superman fight? How about a throwdown between Teen Titans Starfire and Robin? 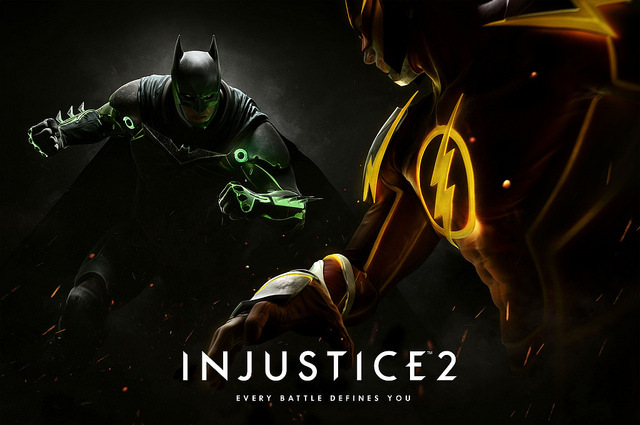 Recreate your own DC dream match with Injustice 2! 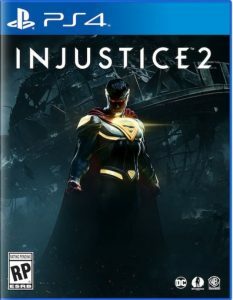 With a 38 character roster, this is a polished super hero game that provides a compelling narrative and additional accessibility for newcomers. 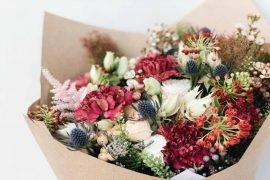 The customisation elements are also a nice touch to ensure your Flash is different from the thousands of other Flashes online! Teenage Mutant Ninja Turtle fans are also in for a treat as they’ve been included as bonus characters. 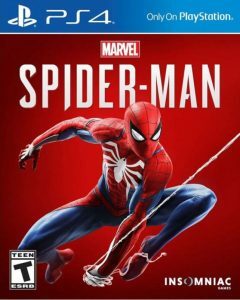 A popular super hero game series among Playstation owners, the Infamous series has a morality system that modifies your super powers. 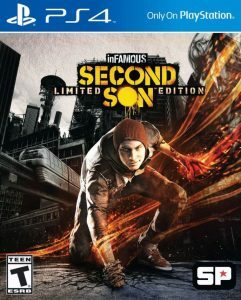 You play as Delsin Rowe, a troublemaker that discovers he has the ability to absorb the powers of other conduits. While you could play the heroic route, subdue your enemies as you knock them out and cause minimal harm, where’s the fun in that? Embrace the evil route and your powers become more destructive, allowing you to wreak havoc on your enemies with chain explosions and lethal blows. Ever wanted to be Neo without The Matrix’s seriousness and melodrama? Then check out Saints Row 4! 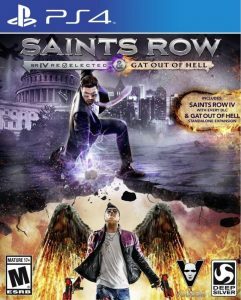 Featuring the zany antics of the Saints Row series, the game occurs in an alternate reality where aliens have invaded the Earth. While the wacky super hero game features powerful abilities (Super Speed, Super Glide, Telekinesis) and numerous pop culture references, the real charm lies in the Dubstep Gun. 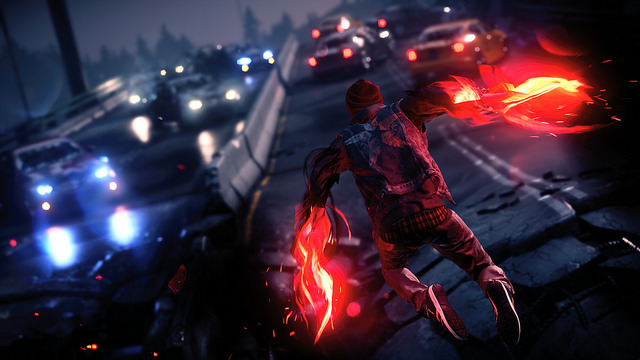 Other than firing lethal dubstep music, the beats hilariously cause surrounding cars and non-player characters to dance along. 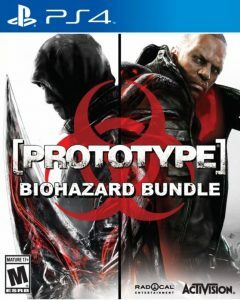 If you’ve ever wanted an open-world super hero game that lets you unapologetically kill everything in sight, Prototype 2 is your game! Infected by the Blacklight virus, main character James Heller is granted super powers that allow players to shapeshift and consume other living beings to gain new powers. 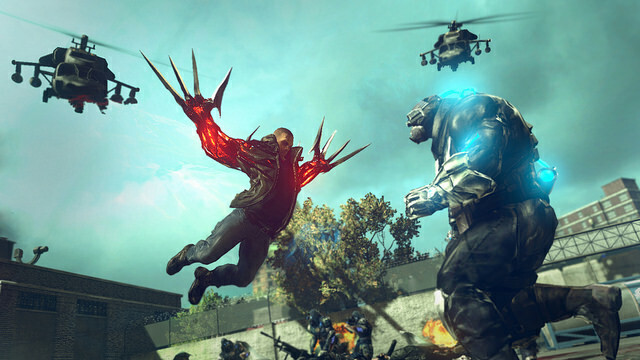 Slice, dice and crush your foes as you traverse through the infected city in search for answers to the epidemic! Without compromising on brutality, Prototype delivers a visceral experience as you go on a rampage, destroying and consuming everything. What’s better than being an expert assassin that’s skilled in parkour and combat? Being a supernatural assassin that can teleport, stop time and see through walls! 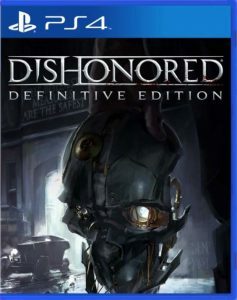 In Dishonored, you play bodyguard Corvo Attano, who has been unfairly framed for the empress’ murder. In your quest for revenge and redemption, you’re given the choice of ruthlessly murdering your targets or mercifully neutralising them. 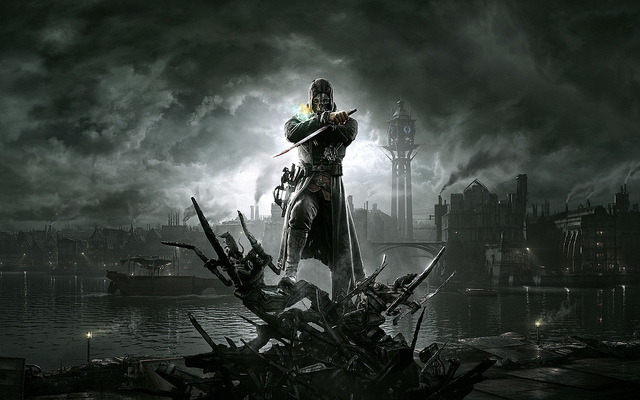 However you play, you’ll enjoy skulking the rooftops of London during the Victorian era while gawking at the breathtaking aesthetics in this brilliant super hero game. 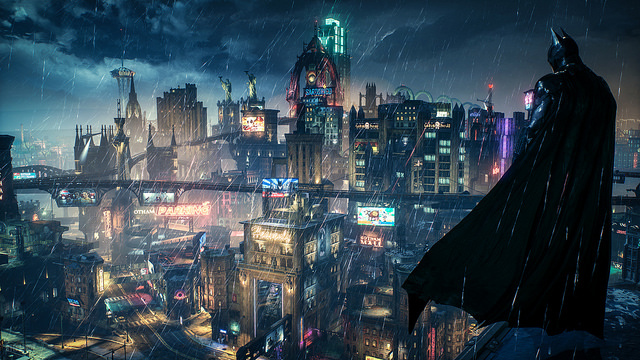 No super hero games list is complete without the Caped Crusader himself! 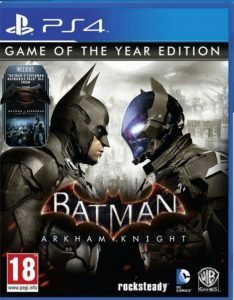 A must-own for any Batman fan, Batman Arkham Knight ends the Arkham trilogy with a bang as the Dark Knight deals with Scarecrow’s fear toxin antics. Fling those batarangs and counter those punches because your combat skills will be tested against tens of goons at once. When up against heavily armed foes, you’ll be sneaking about in the game’s stealth sections and using the element of surprise to your advantage. Words alone cannot describe the spectacle that is Devil May Cry 4’s combat! 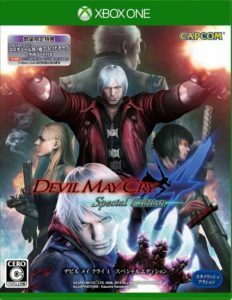 Beloved by gamers for its fluid and rewarding gameplay, DMC4 is a super hero game that has stylish combat as its central focus. As you’re given a style rating, you’re encouraged to evade attacks and slay demons with finesse. Glide across the arena and perform spectacular combos with either of the five demon hunter characters as you strive to get the coveted SSS rating! 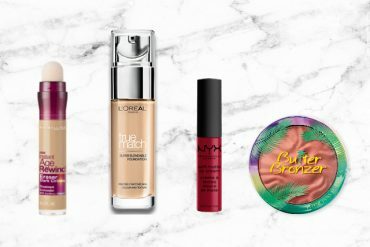 Up for a late 90s nostalgia trip? 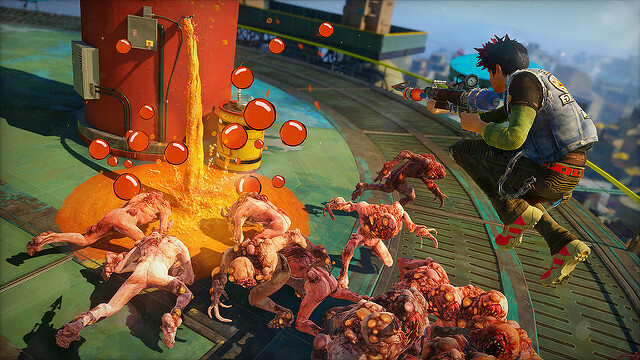 Sunset Overdrive is a super hero game that revels in its rebellious punk-rock nature, explosive chaos and overbearing neon colours! 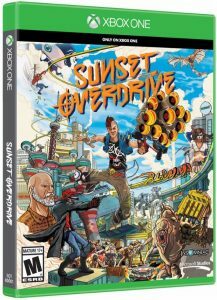 Playing as a skateboarding super hero, you’ll effortlessly grind on telephone lines and rooftops to zip across the post-apocalyptic world. Also, your innovative arsenal keeps things fresh while using ridiculous weapons like bowling balls, vinyl discs and explosive stuffed bears at your enemies. 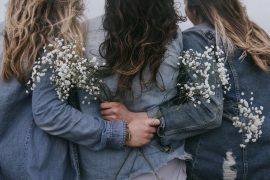 Prefer party games to play with friends? Check out our list of Nintendo Switch games that are perfect for any gathering! Also, if you’ve yet to buy a current generation console, why not check out our best gaming console comparison guide so you can make the most informed decision. *TNC Applies. Valid for new users from 4 to 11 Oct only.